From simple adjustments to all-out lifestyle upheavals, streamlining the design of your home is a way to bring more efficiency to your life and help conserve time, energy, and resources. Here are a few innovative designs that cause us at homify to re-think the way we view our space and the things we put in it. From a simple closet renovation to a large-scale barn repurposing project, these dreamers and doers display the beauty we find at the intersection of sleek design and sustainability. Not only is it good for the environment, sustainability-centered design is becoming more and more sought after as consumers make the shift towards living in greater alignment with our natural environment. Capitalize on unused under-the-stair space. It's not just Harry Potter who can fit under the stairs – these designers have found a convenient way for coats and shoes to live under there, too. A stylish surprise for the unsuspecting guest, this conversation-provoking design eliminates the heaping pile of jackets and shoes at the bottom of your coat closet while also allowing an ample display of your items – gone are those sweaty days of rummaging amongst the coats in the back of a dark closet. 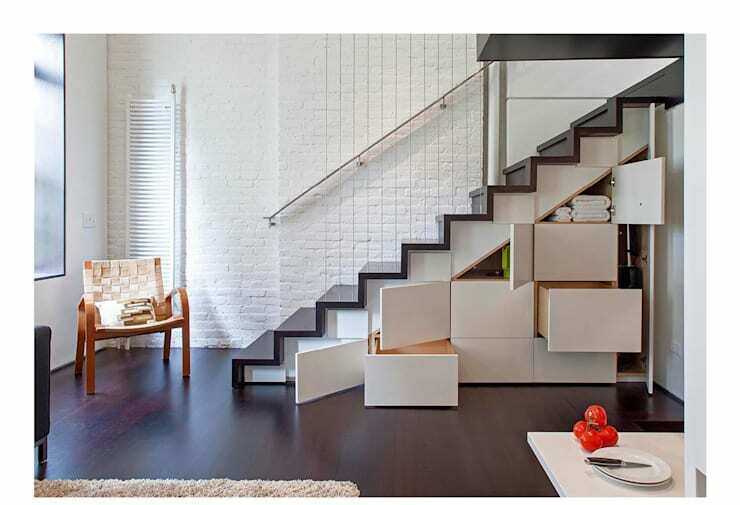 The open staircase increases the psychological dimensions of a smaller room – not a space saver, but a space creator. An imaginative designer can create space not with the addition of features, but with the deliberate absence of them. If you're considering knocking down a wall and adding a room, take a second look – it could be that you can conserve funds, materials, and energy by simply re-designing the way you go about stairs, creating more space in the space that you already have. The-purposing of this old barn is not only visually appealing, but also an efficient use of the sturdy infrastructure already in place. 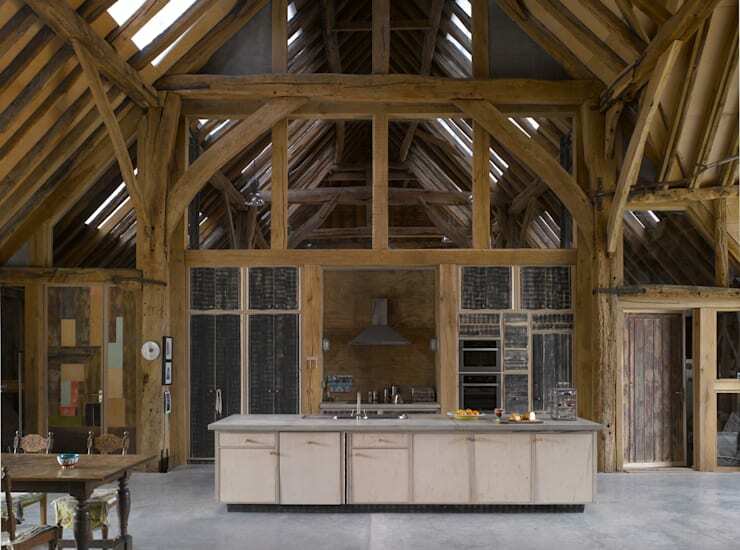 As more and more farms opt for aluminum-based pole barns (as they're called in Canada) that are inexpensive and easy to erect, an imposing wooden barn like the one pictured here is truly a treasure, and with leaps of imagination, these designers have created a bright, luxurious, and interesting space. What to do with an old cargo cart? 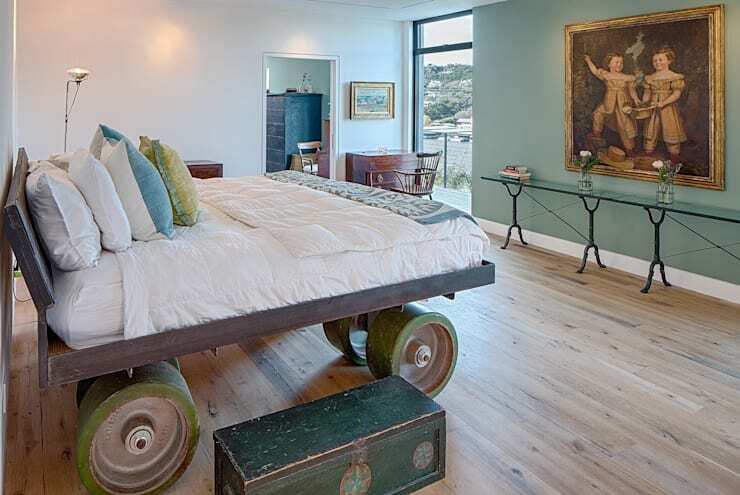 This one is re-purposing gone crazy – you've just gotta love the bed on big wheels (I'm wondering if this might be more practical in a house with bigger doorways, though, as it would enable the user to actually move the bed around the home, maximizing the usefulness of the wheels). With some dedication and planning, many throw-away items can be turned into household furniture – pianos, cars, and industrial machinery are just a few objects I've seen as recycled beds, turning your unique bedroom into a deserving conversation piece. As the Upcycling movement gains momentum, we'll be seeing more and more creative pieces like these, pieces that not only contain an interesting backstory, but also help reduce the size of our landfills. 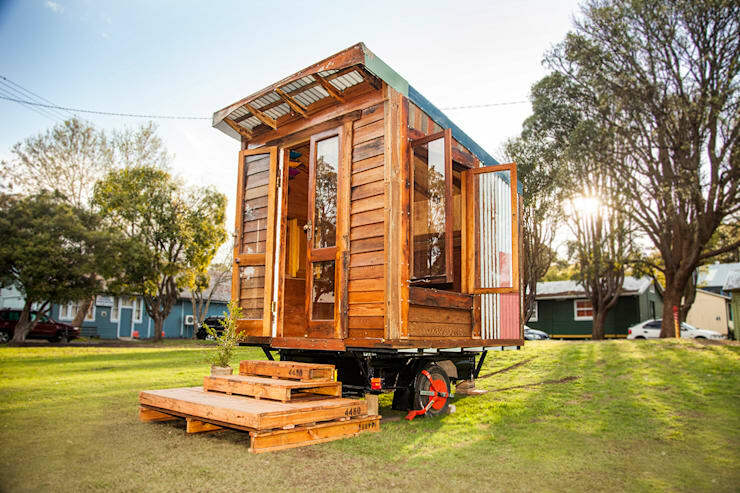 Tiny, stylish, and just about all a person needs in life – this is the ultimate in time, energy, and resource efficiency. While not everyone is ready to make the leap to tiny home living there are elements of this design that we can learn from and incorporate into our own homes for more efficient living – for example, by using a thoughtful approach to the materials we use – such as reclaimed wood or energy-efficient window panes, or by finding ways to use and re-use all of the nooks and crannies of our space.